Two lovely photos of Mick Jagger and Keith Richards at Olympic Studios during the making of Jean Luc Godard’s movie ‘Sympathy for the Devil’ in June 1968. You can buy prints of these pictures from Sonic Editions, here. 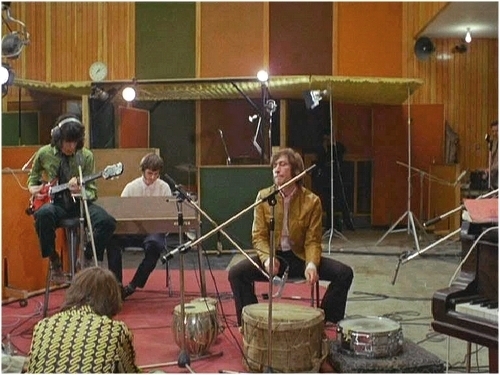 The Stones recorded several albums at Olympic studios between 1966 and 1972. Here’s the rhythm section (Watts, Wyman and Ian Stewart on keyboards) hard at it on the same Sympathy movie sessions. You can see Mick Jagger’s back in the picture. He’s wearing the same shirt as in the picture above. You can read more about the characters behind Olympic Studios rise to be the world’s pre-eminent rock recording studio here. More on Olympic Studios, here. Hi there ! My name is Hilary Sharp and I am the assistant to Vic Coppersmith-Heaven who worked as a producer and engineer at Olympic studios. He worked with the Rolling Stones, Joe Cocker, Robert Palmer and Billy Preston among others. 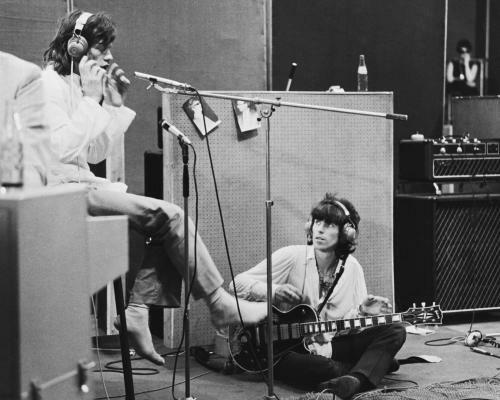 Vic is putting together book to document his life in Rock and Roll and I am doing some research to pull some photo graphs together of his artists recording at the famous Olympic Studios I notice you have some images here of the Rolling Stones? Would you be able to let me know who owns the rights to these pictures by any chance ? Hi Hilary- I’ve spoken to the good folk at EMI archive and former staff from Olympic studio. The studio did not employ a staff photographer- therefore any images taken at the studio would belong to the artist or photographer. EMI also confirmed they hold no images of the Rolling Stones and that no pictures of artists in Olympic were ever archived when EMI bought the studio. They advise you make contact with the artist/management and/or photographer to seek clearance. Hope that helps and good luck with your book. Hello. My name is Martin Jufer and I’m from the Zurich area in Switzerland. I have stumbled upon two Tannoy Dual-Concentric Monitor speaker from the mid 1950’s. 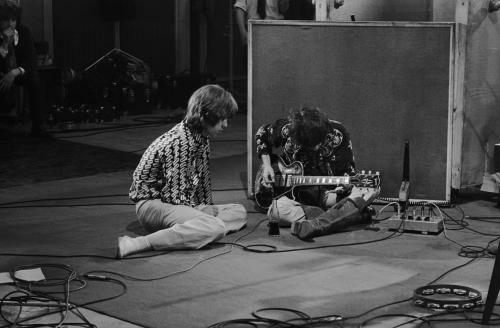 Do you have any idea, what kind of monitor’s were mounted inside control room one at Barnes when the roof was set ablaze on June 10th 1968 while the Stones were recording? I know Olympic had Tannoy Silvers in custom made cabinets similar to lockwoods mounted above the window, so maybe…. Anyway, I would be very grateful for any kind of information.